The most amazing semi-precious stones, labradorite glow from within with beautiful aqua, dove grey and blue colors. Treasured for its remarkable play of color, known as labradorescence, these earrings will be your "go to" favorites in your jewelry collection. 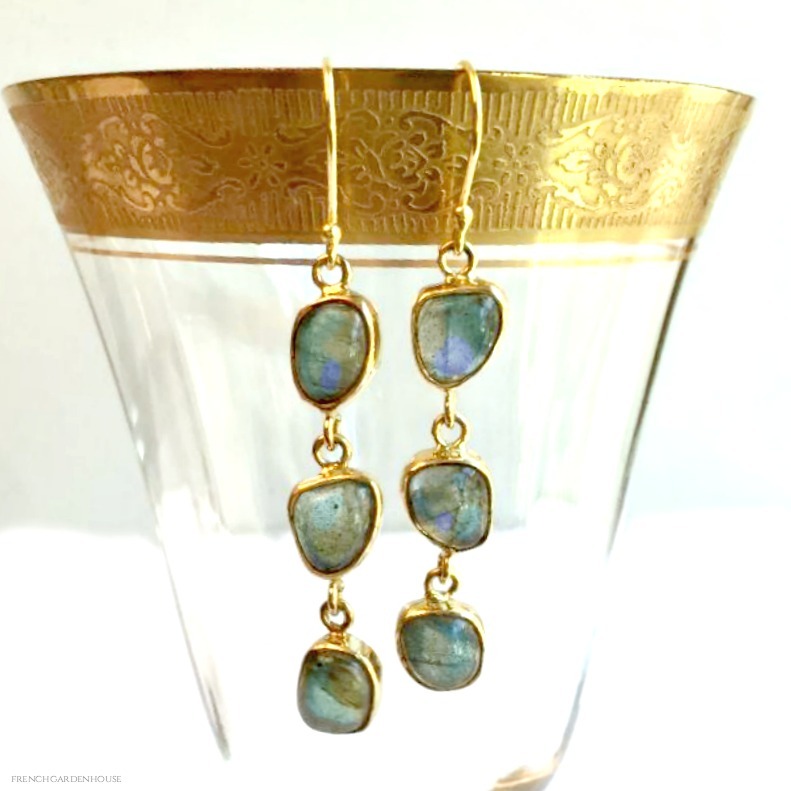 Small cabochons of labradorite are polished to a lustrous shine and set into bezels. French gold-plated ear wires.